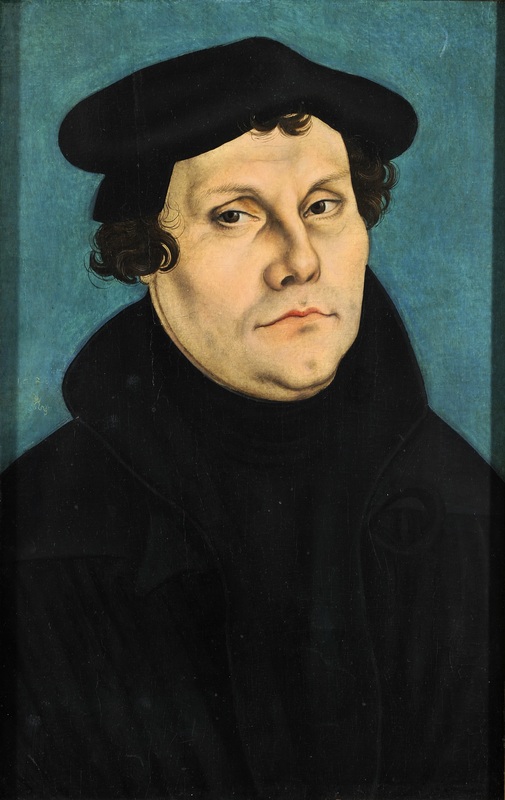 For some time I’ve had a bit of a fascination with the great reformer, the guy who sparked a theological revolution that changed the world, the brother like no other, Martin Luther. I like the guy. Probably because he’s so different from me. His boldness and courage and intensity and intellectual consistency are pretty frightening, but I find them incredibly compelling. Anyway, I’m in the middle of a series of three open lectures at the Bible College of South Australia, on Luther’s theological ethics – how his theological breakthrough transformed how he saw life, from its the big picture right down to the gravely bits. and Jesus takes care of the rest. The great problem for Luther was that he could never be sure if he had done his best, done ‘what was in him’. He wrote, ‘though I lived as a monk without reproach, I felt that I was a sinner before God with an extremely disturbed conscience. I could not believe that he was placated by my satisfaction. … Thus I raged with a fierce and troubled conscience’ (LW 34:336-7). This ‘discovery’, or perhaps more accurately ‘re-covery’, of the gospel was explosive for Luther. Over the next few posts, I’ll explore a couple of his early and seminal theological works, before examining the way his theology shaped his understanding of the practicalities of every day life. If there’s one thing I admire Luther for most, it’s having the courage and determination to let what he believed about God and the world and the gospel actually direct and shape his understanding and experience of life. I find it exciting and compelling – and hope you will too.